After implementing the PESLEAGUE-Mode some weeks ago the gamemade has officially been startet with an qualification tournament for the PESLEAGUE -Final in Cardiff. This tournament is only available for Playstation 3 + 4. The start of this gamemode makes a change to the game. You only can play one PESLEAGUE – Mode game after 24hours. For Trial Version Users is this the moment to think about buying the full version. 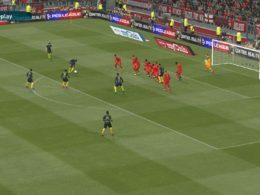 “ Konami Digital Entertainment B.V. has confirmed its exciting plans for PES LEAGUE and the ROAD TO CARDIFF, the official UEFA Champions League eSports tournament, with an incredible $200,000 as first prize in the revamped 2016/17 PES LEAGUE. Available exclusively to PlayStation®4 and PlayStation®3 users, the Road to Cardiff season begins today via the dedicated PES LEAGUE mode available in PES 2017, and the new free-to-play PES 2017 Trial Edition. Additional PES LEAGUE events will be open to players on all platforms. 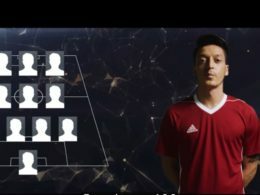 The huge prize incentive comes as KONAMI increases the scope of its annual competition, which is recognised by UEFA as the official UEFA Champions League eSports tournament. The ultimate winner will receive $200,000 with those in second and third place receiving $100,000 and $50,000 respectively. Additional prizes will also be available, with $20,000 going to the winners of the two European Regional Finals, the Americas Final and the Asia Final, with additional prizes for the runners-ups. 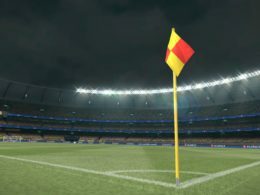 Officially kicking off today, users can register to compete in the 2016/17 PES LEAGUE via www.pesleague.com and begin the first of many games as they play matches that will see them ranked against their peers. All scores and results from matches played within the PES LEAGUE mode are logged and entrants can monitor their progress via the PES LEAGUE website. 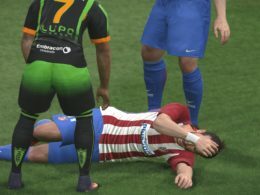 Entry is also open to those using the new free-to-play, PES 2017 Trial Edition. 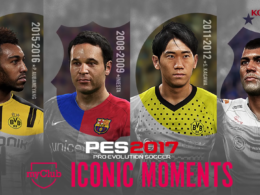 This special version of PES 2017 showcases the Exhibition mode and Skills Training, but will also allow users to compete within PES LEAGUE. 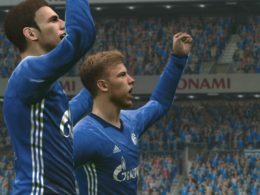 The PES LEAGUE has seen huge growth in recent years, and the 2016/17 event will be open to players from all over the globe, each looking to represent their region in Cardiff ahead of the 2016/17 UEFA Champions League Final. Launched under the ROAD TO CARDIFF banner to reflect the 2016/17 competitions position as the official UEFA Champions League eSportstournament, the national qualifying stages take place in Europe, Asia, as well as North and South America, using online matches to determine the best qualifying 16. For Europe, the first season of the regional qualifiers will run until January 5th, 2017. The second season will be held between February 16th and March 16th, 2017. Similarly, two qualifying stages in the Americas will take place, with the first running between December 15th through until January 12th, 2017 and the second taking place between January 12th through until February 16th, 2017. Asia will have one qualifying stage that begins today and will finish on February 23rd, 2017. With KONAMI establishing preferred partnership programmes with the world’s greatest football clubs, the first of the European qualifiers will be held at FC Barcelona in February 2017. The 16 competitors will gather in a special play area within the iconic ground, before entering a series of knock-out matches to decide the final four players to represent Europe at the PES LEAGUE World Final in Cardiff. April 2017 will then see the 16 best American players gather at a soon to be announced location for their regional final. Four places are on offer for those qualifying from the Americas, thus ensuring a high level of competition to make the cut. The European regional qualifiers finals will take place in April 2017 at a stadium location, soon to be announced. The initial 16 players will be whittled down to just four via another knock-out competition. Thus, with Europe’s eight entrants determined, they will be joined by the four qualifiers from the Americas, two from Asia, and one representing the rest of world, as well as one challenger to be selected at a later stage. As has become traditional and in line with PES 2017’s position as exclusive licensee of the UEFA competitions, the conclusion to the 2016/17 season will take place ahead of the UEFA Champions League Final in June 2017. The ultimate winner will be given the main prize. The finalists will also receive tickets to watch the UEFA Champions League Final match. 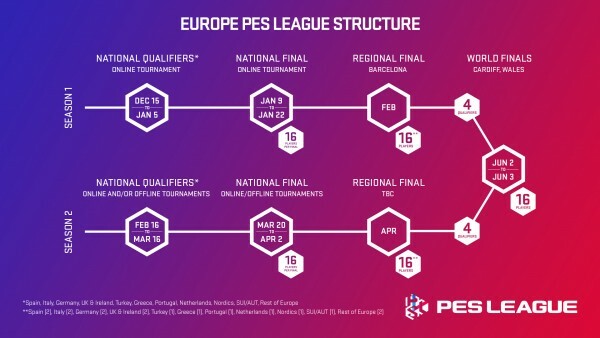 Full details and schedules of KONAMI’s other exciting plans for PES LEAGUE tournament will be announced for wider players early next year.